Judging by the disappointing number of empty seats at the Emirates on Sunday afternoon, there'll be plenty of Gooners regretting the fact that they chose to avoid freezing their cods off, at an unappetising encounter with BFS' unglamorous Eagles on a miserably damp New Year's day, thereby missing out on being present to witness live one of the most outrageously spectacular goals that the Gunners have ever scored. I was most fortunate to be in such a rush to dash home and thaw out after the final whistle that I walked in the door just in time to catch the closing moments of the live coverage on the telly; where I was most grateful for Giroud's wondergoal, if only because it presented the TV program editor with an indulgent excuse to screen a selection of the Gunners' best ever Premiership goals, for comparison purposes and Olly's sublime "Scorpion" strike certainly deserves inclusion in this illustrious pantheon of modern day greats. No matter the quantity, or calibre of the silverware baubles that we've secured along the way, this showreel of supergoals from the supremely gifted likes of Bergkamp, Henry, Pires and Wilshere proved a timely reminder of quite how privileged we've been to enjoy such a golden age of glorious football from the Gunners and I feel truly blessed to have been present to witness all of these sensational scenes in person. 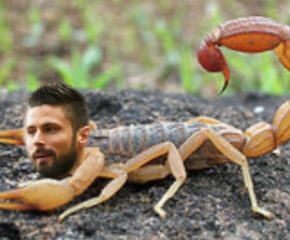 In fact, it's the ever present dread of missing out on being there for a moment just such as Giroud's magical goal on Sunday that often motivates me to drag my aching bones out the door to less enticing encounters nowadays. I used to be able to watch Sunday's lunchtime game on the box, only heading out after the final whistle and still manage to make it to my seat in time for a 4pm KO at our place. However now that I'm forced to drive the short distance around to the ground, if I don't leave at least an hour before kick-off it entirely defeats the object because it's so busy by the time I get to the ground that I'll end up driving nearly halfway back home in search of a parking pitch. So as I sat in the car on Sunday with the heated seat set to "high" and the blowers on full blast warming up my tootsies, watching the closing stages of Watford v Spurs on my phone and most grateful to have been able to bag my customary parking pitch only a stone's throw from the turnstiles, I have to admit that much like all those who'd seemingly wimped out on coming to this match, I questioned my own sanity and whether, in my lamentably enfeebled state, I'd have been better off stopping indoors in the warm and dry, watching our game on the box. However as the saying goes "no pain, no gain" and it proved to be well worth braving the elements on this occasion. Unless it's particularly windy, the rain doesn't tend to trouble those of us seated in Row 18 and it's only those in the front few rows of the lower tier who get soaked. Moreover, by cowering into the snood that we received in our membership packs, I didn't suffer too badly from the cold, at least not while I was being distracted by such a heart-warming performance on the pitch. I must admit to being very pleasantly surprised because I honestly feared the worst upon hearing the team news, as I stood outside Turnstile J prior to KO, sucking on a cancer stick to get my nicotine level up for the ensuing ninety minutes. Watching the first-half of Watford v Spurs, although the Hornets were blatantly guilty of failing to turn up, what impressed me about the Lilywhites was their attitude and a hunger which enabled them to pretty much bag the three points before the break. Hopefully the fact that Spurs were able to take their foot off the gas and cruise through the second half, this might help to negate the advantage of an extra day's rest afforded to Chelsea in their encounter at White Hart Lane. With Costa and Hazard both enjoying such an impressive hot-streak, I'm not particularly optimistic, but it would be extremely ironic if Spurs should achieve the result that ensures our successive victory record remains intact! 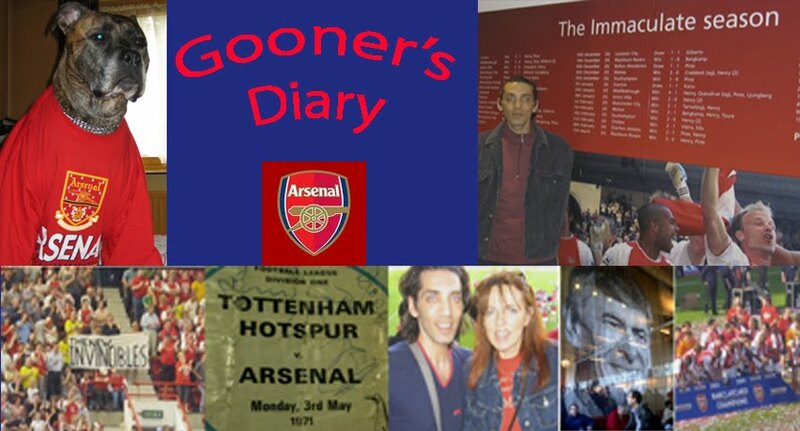 I wondered if we would be capable of an equally determined effort against the Eagles and I wasn't encouraged when I discovered that Lucas Perez had been given the shout, due to the dicky tummy (poor love!) that had resulted from Mesut's Xmas excesses. Despite his recent hat-trick, Lucas strikes me as a player who'd probably excel against lesser talents in the lower leagues. 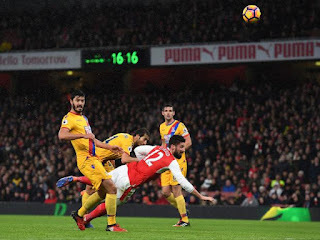 The industrious Spaniard might well adorn an in-form Arsenal side, but he appears to lack sufficient guile and pace to be able to impose himself against higher calibre opposition. I definitely couldn't envisage Lucas playing in a pivotal central role as our principal orchestrator. With Arsène's apparent tactical inertia, the thought never even occurred to me that he might've opted for some more original thinking than a straight swap of Özil for Perez and for all the criticism Wenger receives, moving Iwobi into the middle proved something of a masterstroke (if Guardiola had done likewise it would be labelled as a stroke of genius!). Alex's impressive performance against Palace and the fact that the youngster wasn't the least bit phased by the additional creative responsibility, proved quite how much the young Gunner has matured in recent months. With the likes of Wilfred Zaha wimping out and hitting the deck at every possible opportunity, I'm not sure how much of Sunday's success was down to the Eagles' inadequacies and as someone who's long been a firm proponent of always playing one's best XI, I would never argue for the exclusion of a player of Mesut's exquisite ability. Yet with the Five Live radio commentary in my ear, I found myself agreeing with Martin Keown's comments about the balanced look to Sunday's side, as he pondered whether our best team might not include our best players. Personally I don't think Lucas has sufficient pace to be effective out on the flank, but it could be argued that he offered a far more positive contribution to Sunday's proceedings than we might've expected from the likes of Theo. Additionally, against teams who come to our place with limited ambitions, I always believe our best opportunity is to break them down on the counter, before they can get ten men behind the ball. As a result, I often find myself angered when anyone dawdles on the ball, more often than not Mesut, taking the pace out of our counter-attack and gifting the opposition an opportunity to get settled in defence. Iwobi might lack quite the same composure and perfect touch as Özil, but as was evidenced with the swift counter that resulted in Giroud's breathtaking goal on Sunday, where we moved the ball from one end of the pitch to the other, in the blink of an eye, it was the speed of this sort of transition that was most pleasing on the eye and made us look so much more threatening than our alternative, more patient line-ups. Again I'm not sure how much Palace's impotency contributed (as Benteke really should've done better with his headed opportunity!) but it was most pleasing that we remained sufficiently focused to preserve our second successive clean sheet and seeing Mustafi knocking the ball about on the pitch at halftime, confirming that we won't have long to wait until he returns to the starting XI, should certainly assist in improving our resilience. 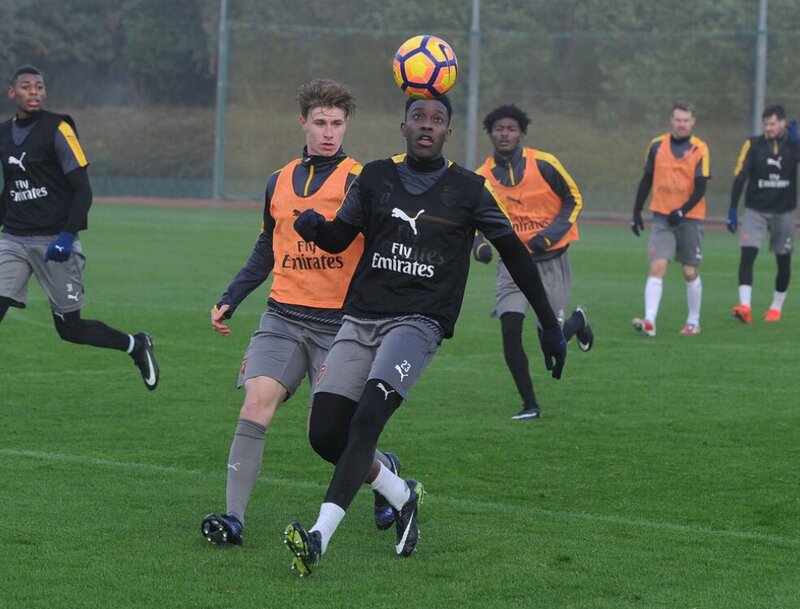 What's more, who needs to waste millions on somewhat desperate January transfer window signings, when we've got the psychological boost of the imminent return of Danny Welbeck? Best of all was the early second half goal which alleviated all the tension, with us no longer having to fret about a single smash and grab equaliser costing us two crucial points. Palace seemed resigned to their fate after Iwobi scored and much like Spurs, it enabled us to take our foot off the gas, hopefully conserving some energy for tonight's outing to the seaside. Then again, Alexis obviously doesn't have a second gear, as our Chilean Duracell Bunny only operates at full on, or off! Arsène's team selection against the Cherries will prove interesting. Seeing both City and Liverpool struggle to produce a sufficiently energetic performance yesterday afternoon, doubtless Wenger might be tempted to rest those players who might exceed his renowned red line, by playing twice in two days. We're fortunate to have sufficient strength in depth nowadays that he can rotate players without there being any appearance of disrespect for our opponents. Yet to my mind, there is no point to leaving anyone out against Bournemouth so as to prevent them from burning out because it will be futile to keep players fresh, if we end up dropping three points and are left with nothing but 4th place scraps to fight over. Never mind the players, I'll be heading off to the South coast having barely recovered from the exhaustion of all that euphoria on Sunday. As they say, matches are always far less tiring for the victors and I've always believed that even if they don't get on the pitch, there's little difference in the fatigue levels of the squad players involved in all the other matchday rituals. I can't begin to imagine the psychological boost Chelsea will enjoy if we fail to win at Bournemouth, knowing they can gain even more ground if Pochettino's troops fail to put a spoke in the Conté bandwagon at White Hart Lane. 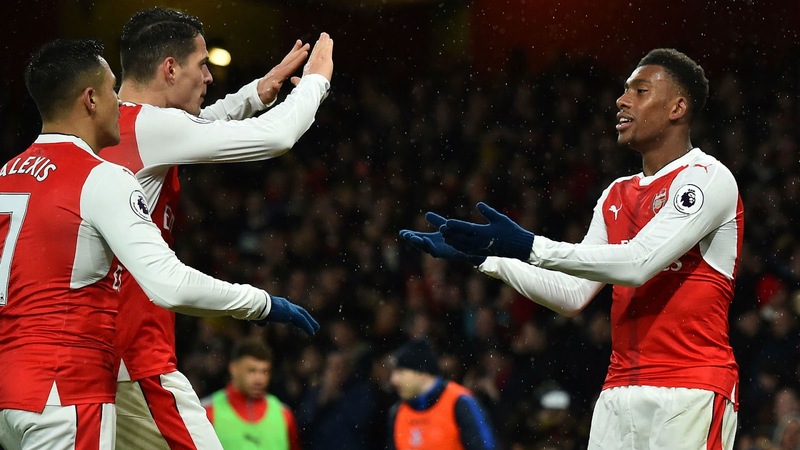 The Gunners badly need to build the sort of winning momentum that can exert maximum pressure on the league leaders and this should be Arsène's only consideration when it comes to choosing the line-up. It will be no mean feat for the Gunners to go again tonight with the energy and focus necessary to chasten the Cherries on their home turf, but lagging nine points behind the leaders, if we're to keep ourselves in the frame and retain some hope of mounting a challenge, nothing but a win will do. Is That A Matchday Programme In Your Pocket....?